What is the nZEB standard? Who should know about it? What will implementation look like in Ireland? How is the improvement measured – Commercial /non residential? What does this mean for commercial and non residential building design? What Skills are needed for the nZEB standard? Where can I get these nZEB skills? The European Energy Performance of Buildings Directive Recast 2010 (EPBD) requires all new buildings to be nearly Zero Energy Buildings (nZEB) by 31st December 2020 and all buildings acquired by public bodies by 31st December 2018. This means that any buildings completed after these dates should achieve the standard irrespective of when they were started. This is quite different to the transitional arrangements for previous building regulations revisions. ‘Nearly Zero – Energy Buildings’ means a building that has a very high energy performance, Annex 1 of the Directive and in which “the nearly zero or very low amount of energy required should be covered to a very significant extent by energy from renewable sources, including energy from renewable sources produced on-site or nearby“. On 29th July 2016 the European commission published additional guidance on the nZEB standard. Specifically for the Oceanic zone which applies to Ireland the guidance proposes the following recommendation. Each member Government has discretion in how the standard is applied nationally. To comply with the nZEB requirement, the Irish Government has issued the revised Building Regulations Part L – Conservation of Fuel and Energy, – Buildings other than Dwellings (2017) – and the accompanying Technical Guidance (non-residential buildings) and Technical Guidance Document L – Conservation of Fuel and Energy – Dwellings (2017) (residential). Non-residential buildings: The revised regulations require buildings to use up to 60% less energy than allowed under current regulations, plus a requirement for up to 20% of this final demand to be met with renewables. If a higher level of efficiency is achieved the renewables ratio may be reduced to 10% of final demand. Note: final demand does not include tenant equipment. This comes into force on the 1st January 2019, with a transitional arrangement that does not extend beyond the 1st January 2020. This means that the current regulations – Technical Guidance Document L -conservation of Fuel and Energy (2008 ) can only be used beyond 1st January 2019 if Substantial work had been completed by 1st January 202o, one year ahead of the 31st December 2021 deadline for NZEB itself. However we advise you to go directly to the documents on Department of Housing Building Standards site. 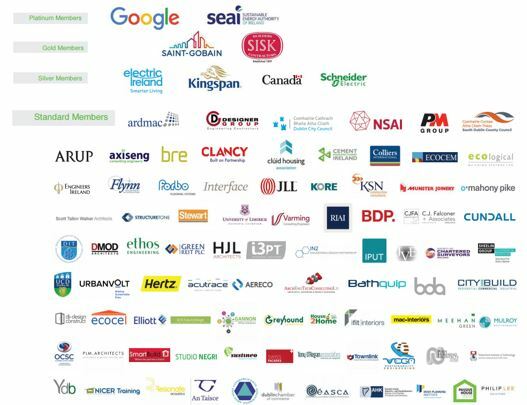 In January 2017, the Department of Housing Planning, Community and Local Government, the Office of Public Works, the Department of Education and Skills, the Health Services Executive and Sustainable Energy Authority of Ireland published an Interim NZEB Specification for Public Sector buildings. This sets out a performance specification for new buildings owned and occupied by Public Authorities after 31st Dec 2018 effectively meaning that all public buildings on the drawing board must meet the standard. We are aware from members of the difficulty in meeting the nZEB standard for projects such as schools, and other public buildings which have a long gestation, procurement, and approval period often extending beyond 10 years. In many cases these were designed before in the expectation of completion ahead of the deadline. You should consult directly with your public sector client in these cases on exactly how they are interpreting the directive. Residential buildings: The Irish Government is implementing the Energy Performance Building Directive 2010 Recast through revised building regulations for homes which are proposed to come into force on 1st April 2019. This means that any dwelling receiving planning permission after 1st April should meet the nZEB standard. Substantial completion must have been achieved by 1st April 2020. After 2020 all homes irrespective of when they received planning permission should achieve the new standard. Interim nZEB Specification for Public Sector buildings. NEAP (Non domestic Energy Assessment Procedure) uses the software iSBEM to measure compliance with Part L Technical Guidance Document, Conservation of Fuel and Energy – Buildings other than dwellings (2008). This can be used to calculate improvements over current building regulations for smaller buildings. Suitable software is been developed for the Irish market to more accurately demonstrate compliance for larger, more complex buildings. A combination of some of the followings are likely needed to achieve a 60% improvement. Enhanced calculation of linear thermal bridging required. The IGBC has produced an nZEB webinar series for both non-residential and dwellings. The series of 4 webinars is intended to bring you up to speed with what nZEB means for the sector with presentations from leading experts on key principles for the practical implementation of nZEB. Follow this link to dowload the nZEB webinars for commercial and residential. There may be a steep learning curve to achieve the improved standards if professionals have not already upskilled. Demonstrating compliance will become more technical. Design teams need to develop understanding of the software to demonstrate compliance, though more guidance from Government is still required. Achieving higher level improvements will require greater integrated design team working at an earlier design stage. The emphasis on the fabric of the building, will need more in-depth understanding of designing for solar shading, thermal bridge free construction, air tightness and glazing ratios etc. Greater knowledge is required around more efficient lighting, services and renewables. 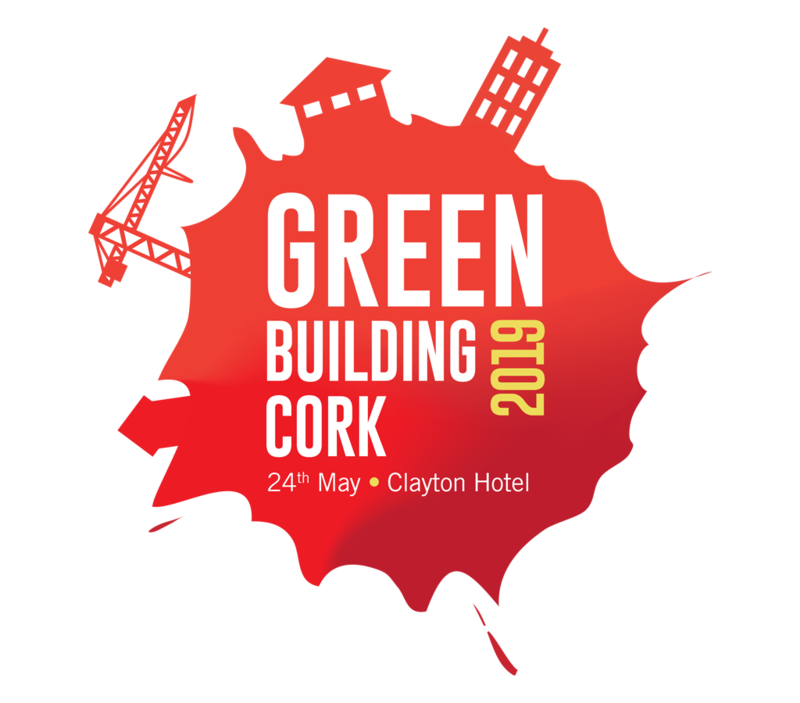 The Irish Green Building Council produced a comprehensive webinar series on nZEB for commercial buildings and nZEB for residential buildings. Sustainco – the project aims to increase the visibility and understanding of the near Zero Energy Building (nZEB) philosophy, with special emphasis on rural areas find out more. Nearly Zero-Energy Building Strategy 2020 (ZEBRA2020). 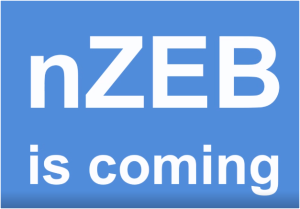 ZEBRA2020 aims at creating an observatory for nZEBs based on market studies and various data. The challenges to implement Nearly Zero-Energy Buildings (NZEB) and achieving minimum shares of Renewable Energy are tremendous. There are various indications raising concerns regarding the reliability of Energy Performance Certificate (EPC) declarations and the quality of the works. Achieving a significant improvement requires strong commitment from authorities and other major players, as well as sufficiently broad societal support. Saint-Gobain Technical Academy also run courses on nZEB, check their list of upcoming courses here. The QualiBuild project is funded by the Intelligent Energy Europe Programme and started in November 2013. This has trained over 200 construction workers in the pilot phase and national roll out from ETBs, Institutes of Technology and private trainers starts in Autumn 2016. Many construction workers lack the core knowledge in relation to low energy buildings. This addresses one of the main issues identified within the Irish Build Up Skills (BUSI) Roadmap. The Construction Workers Skills Register is a register of construction and craft workers who have undertaken up skilling in low energy construction for NZEB and have completed the Foundation Energy Skills course developed by the QualiBuild project. Ask the Experts: Is there a unique definition in Europe for a nearly Zero Energy Building?